Hey there, we just pushed the V3.1.12! Oh and did you see the old in the url? This new version is mostly an update with latest Starling 1.8 et Feathers 2.3. Starling 2 is now available in beta (an so Feathers 3) and we think it’s about time to make some changes to the Citrus Engine! We were a bit stuck in our experiments lately, because we know you guys enjoy stability etc. Since Starling 2 breaks some part, it’s finally time to do so with the Citrus Engine. So we reset the repository. 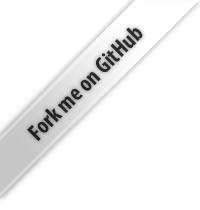 We left you this summer with a work in progress on a Citrus Engine for WebGL & Pixi.js. Unfortunately, the games planned didn’t come (instead of we made some VR with Unity etc.). But we’d played with the architecture that we will transfer to the V3.2. – no more 3D, no more Away3D & AwayPhysics. We’re confident if you’re making a game with 3D, you should use Unity. – no more Blitting. Who need it anymore since we’ve Starling? – no more Display List. – running physics inside a Worker. – Frame Rate Independant Motion for physics (yeah, that’s something on my todo list since a while). – new entity/component system for no physics game. So keep it up and be sure to check the commits coming on the Citrus Engine! This entry was posted in Uncategorized by Aymeric. Bookmark the permalink. It’s awesome to see that you’re planning future updates, I’ve always thought that Air is best for 2D games! Wow!!! it’s really good excepting 3D!!! yay, an update, been waiting for this, awesome Mr. Aymeric , DaVikingCode team. I’m really excited by this. Thanks for your continued and evolving support of CitrusEngine! Awesome news ! Thank u i waiting this major new version of Citrus since a long time keep up the good work !